How considerate are they, asking how she would like to be murdered. You don’t get that from humans, Raptor Zombies are so much more civilized. 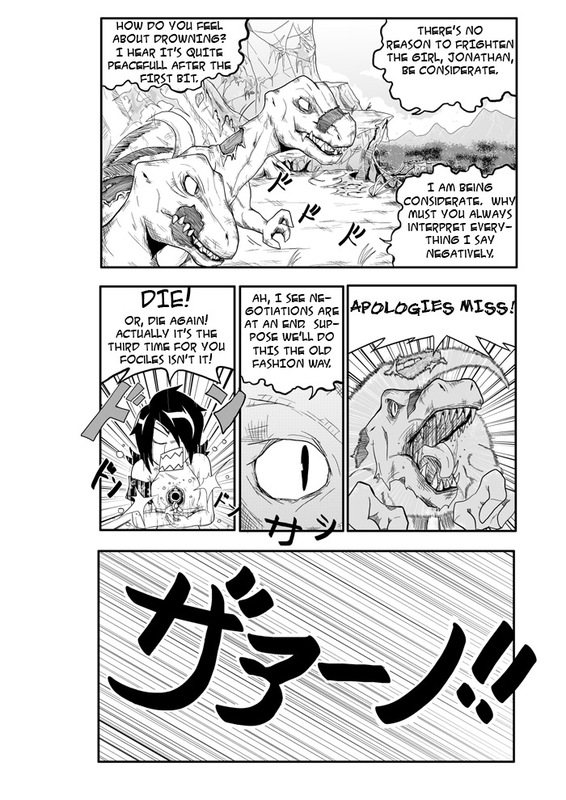 Also, 2nd panel, does “fociles”=”fossils”? That confused me the first time I read it.